He doesn't remember the sound. Only that the snow suddenly begins moving and cracking in all directions. It was going to be his last trip after a fantastic day of skiing. Suddenly, every single movement he makes has a bearing on whether he will live or die. 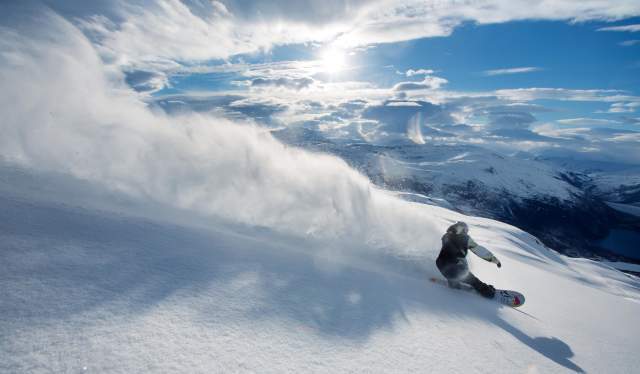 Summit trips are becoming increasingly popular, and in Norway, you will find a number of great mountains for skiing where you can safely do off-piste skiing amid beautiful and wild nature. Many operators offer organised summit trips, and you will find professional guides who are familiar with local terrain and whom you can hire pretty much all over the country. "If you don't have the required skills, you must be accompanied by a guide. I recommend for everyone to go along with a guide," says Thomas T. Kleiven. As a photographer and journalist, he works, lives and breathes for skiing. For over 15 years, he has travelled around Norway and the world of in order to experience wonderful nature while on skis. Preferably off-piste, in the splendid powder snow with a view to the high mountains and with a goal of taking pictures that persuade more people to do the same. But there is a risk associated with heading high into the mountains amid untouched nature. Assuming it is important for you to return home from your ski trip, you must never cross a mountainside unless you are able to explain why it is safe to be there, Thomas points out. Being unaware of the risks can be fatal. Even when you know about the risks and have extensive experience and knowledge about how to deal with it, your trip may cost you your life. Thomas has learned this the hard way. "It was what we call a dream day." Nearly two years ago, Thomas was on a reporting assignment in France. He has already been in the Alps a week. It snowed a lot the day before, and even more during the night. There are excellent conditions for skiing and glorious sunshine in the Maurienne Valley on the border with Italy. The group of four friends head ever higher and amid even steeper terrain throughout the day. They are all experienced mountaineers who know what they are doing. 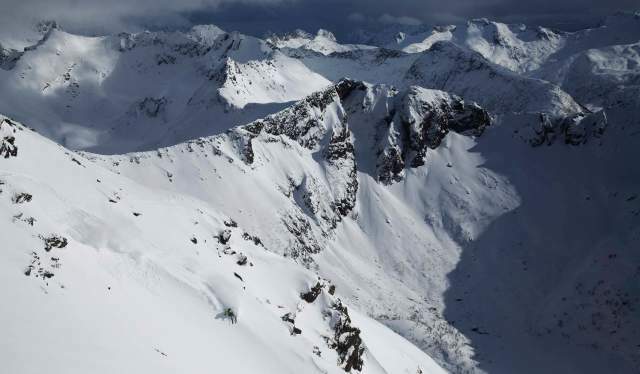 "We were constantly on the lookout for any visible signs that the avalanche hazard had increased or decreased, but we did not observe any signs that would indicate that the avalanche hazard was higher now than it had been earlier in the week." According to Thomas, it is no problem to evaluate whether an avalanche can occur in the terrain where you are skiing. However, he says that the snow is a more variable factor. Each year avalanches in Norwegian mountains kill an average of five people, and most of them are ski tourers. Foreign visitors are overrepresented in these figures. 1. 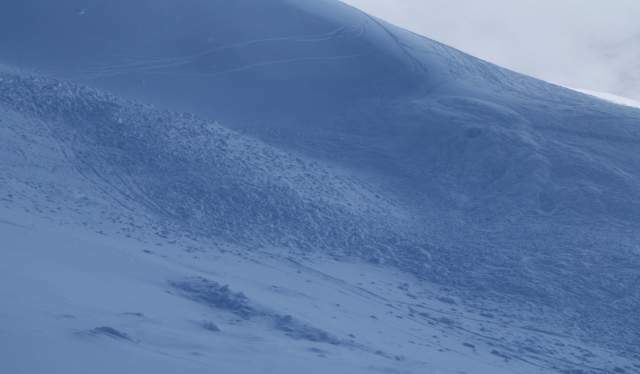 Take a course to learn more about avalanches, avalanche terrain, and the avalanche hazard rating, even if you are not going to navigate through avalanche terrain. 2. Be aware that you can be caught in an avalanche in flat terrain. An avalanche usually turns out to be three times as long as the vertical drop of the slope where it is released. 3. We strongly recommend the use of a local ski guide, both for your safety and for assuring a better and more interesting experience. 4. Start planning your trip at the avalanche forecast varsom.no. 5. Download the REGOBS-app from App store or Android store. With REGOBS, you can share and access information about local conditions with other people, as well as download an offline inclination map. 6. Stay updated on the weather conditions in your area with yr.no and senorge.no. 7. Always bring an avalanche transmitter and transceiver, a probe and a shovel when you are in avalanche terrain. A day full of bright blue skies and sparkling snow is nearing an end. The friends take the lift all the way to the top. Ski tracks in the snow indicate that they are by no means the first to be crossing through this terrain on this day. Thomas is the group's third skier to head down. "I realized that the avalanche was occurring. The snow suddenly begins moving and cracking in all directions." He attempts to ski out onto one side, but the avalanche is huge: 150 metres wide and 250 metres long. Thomas is in the middle of it. The 40,000 cubic metres of snow quickly achieve high velocity, but Thomas is struggling to get any speed out of his skis. 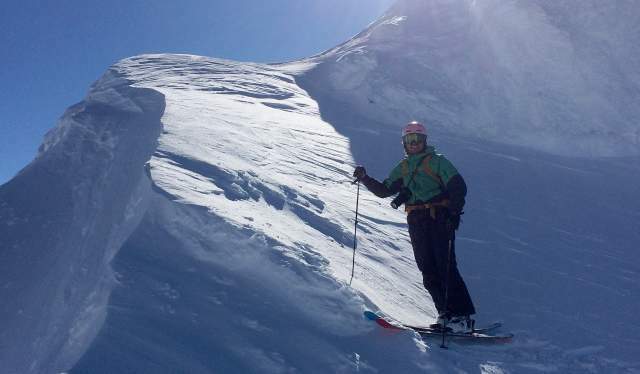 "I understood that I would not be able to ski out of the avalanche, so I instead tried to ski away from it." Thomas knows that he must not end up under the snow. That would make his chances of survival very small. Amid an inferno of wild masses of snow, he is managing seemingly well. But as he approaches the bottom, he can see that the snow is building up in front of him. "I understood then that I would hit the wall of snow, and that the rest of the avalanche would overtake me from behind, and that I would end up buried deep down inside of it." That's when Thomas does something that probably saves his life. He gets his arm up in front of his face, and at the moment when he smashes into the wall of snow, he begins to dig a pocket of air in front of his mouth. "You have a few seconds before the snow becomes fully packed," he says. The air pocket is no bigger than a somewhat large tennis ball. Thomas is unable to move. It feels like being deep in the sea without being able to come back up. Thomas thinks of his two-year-old daughter, Amanda Olava. He thinks of his wife, Kine Marte, who will turn 30 years old the following week. They have been planning the birthday celebration for a long time; what if she has to turn 30 as a widow? What if his daughter will have to grow up without a dad, and it's his fault. "Right then and then, you rationalise things in your head in a bizarre way. You must try to reduce your breathing because you know you can't survive without help." He knows he's going to be found, but he's not sure whether it will be in 10 minutes or next summer. He says that you then try to shut everything down in order to survive as long as possible. "I asked God to let me live. After that, I don't remember very much as I had too much CO2 in my blood and eventually passed out. The next thing I remember is that someone smacks me in the face and yells 'Thomas'." He's still stuck when he turns around and looks up at the avalanche. He hadn't realized that it was so big. The mood is somewhat odd. The people there are not expressing any joy about having found him alive, as he had expected. "They were just surprised and relieved that I wasn't dead." 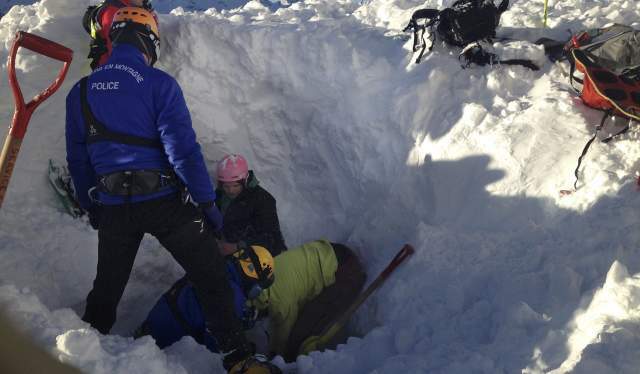 It was his avalanche transceiver that ultimately allowed the rescue crews to find him 1.8 metres below the compact mass of snow. He had been lying there for over 30 minutes and had a body temperature of 31.4 degrees Celsius. "I survived because I did not suffocate and suffered no traumatic injuries." The combination of the small air pocket, his ability to calm himself down, his having the avalanche transceiver, the rescue crews arriving quickly with large shovels and the fact that he was found relatively quickly, made it possible for Thomas to tell his story. Amazingly enough, he hardly got a scratch in the avalanche. He was back on his skis the following day, and skiing is still important in his life, both in his work and leisure time, although he sticks to less steep skiing now than in the past. Just before the accident, Thomas felt that he had enough information and knowledge in order to make a sound choice. In the aftermath, he easily sees the mistakes he made. "I have learned that my knowledge is not sufficient for safe movement in the mountains." "I know how rewarding it is, and how unique and wonderful the experiences you can have are. But, I can no longer do it in the same manner as before because it is more important for me to come home to my daughter." According to varsom.no (English: "cautious"), 168 people were in one way or another involved in avalanches in Norway last winter. In most cases, people on skis have triggered the avalanches. 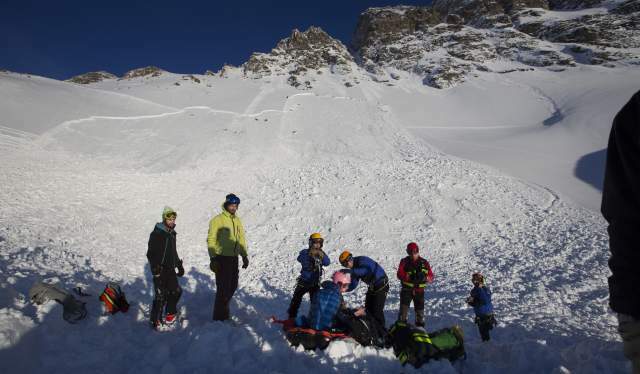 Although things usually went well, and people generally also avoided being overtaken by the avalanche itself, two people died in avalanches in Norway. Five people died in avalanches during the winter before that. "You must always bring an avalanche transceiver, probe and shovel. Wearing a helmet to protect your head is also important," he says. 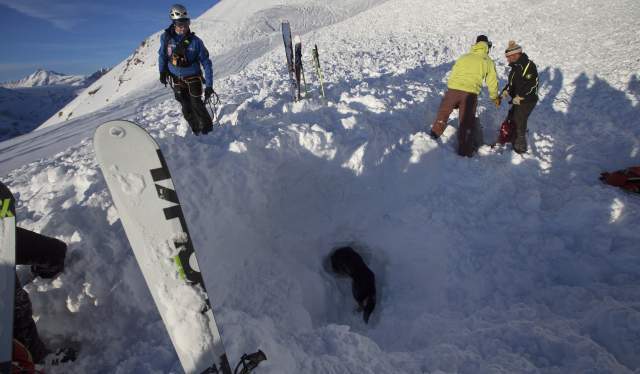 It's difficult to assess the level of avalanche hazard. The skiing enthusiast believes that if you don't want to take the risk in avalanche terrain, you can select skis and equipment that provide the same skiing enjoyment in easier terrain. According to varsom.no, the first 15 minutes after someone has been overtaken by an avalanche are critical. The probability of being found alive decreases significantly if more than 15 minutes pass. In other words, Thomas had a guardian angel when he was found alive after more than 30 minutes, and it was decisive that there were rescue crews nearby who quickly arrived on the scene. In Norway, you run the risk of the rescue services being too far away. "In Norway, you are completely dependent on being with someone who knows what to do if you are overtaken by the avalanche," he says. Thomas says that varsom.no is a good place to obtain knowledge about avalanches. When you plan your ski trip, using the slope map published by the Norwegian Geotechnical Institute (NGI) is a great way to find out how steep it is in the terrain you will be passing through. A rule of thumb following a period of time with a lot of snow and wind is to always wait before venturing onto the steep terrain. Nowadays, you can obtain a lot of good guidebooks on summit trips in Norway, and there are many safe trips you can choose from. 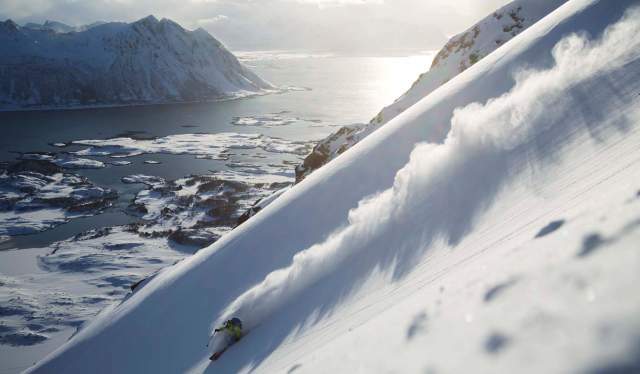 "My motivation for going skiing is a desire to be in the great outdoors. For me, it's still the most fun way to enjoy nature. I actually appreciate skiing even more today than I did before the accident." "Just getting out on cross-country skis makes me happy. Skiing is a cultural experience of the very best kind, and it is both magnificent and unique. He is joined by his family as often as possible. "I make a real effort to ensure that my daughter will enjoy skiing just as much as I do so we can have a lot of nice trips together in the years to come," he says. 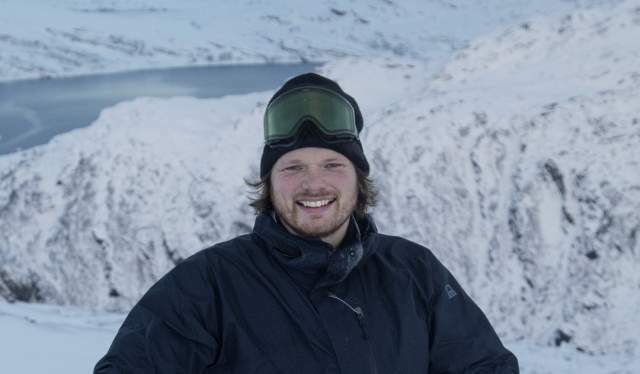 A Norwegian avalanche expert wrote a book on minimising the risk without spoiling the fun.